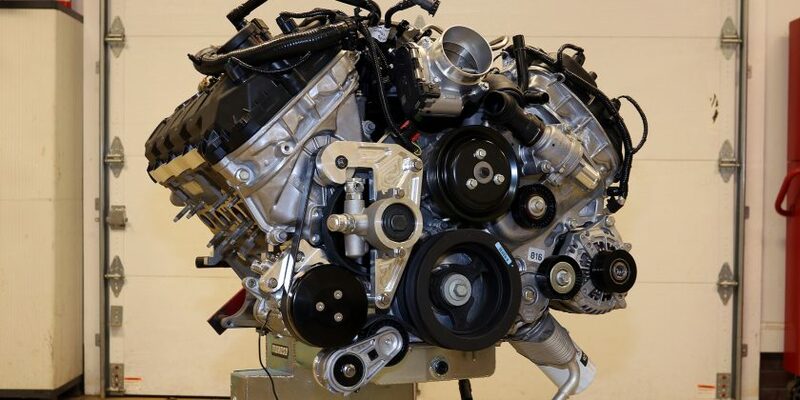 We’re getting our Ford Coyote crate engine ready to swap. Ford’s Coyote crate engine is a great power package that’s becoming very popular among the blue-oval crowd for dropping into everything from Mustangs to classic pickups, and that makes complete sense. Ford’s latest five-liter makes great power, it’s dependable, and it absolutely loves boost. We’ve got big plans for ours in our Fake Snake project Mustang, the 1999 Mustang GT we picked up for $1,500, but before we can drop it in place of the stock 4.6 Modular, we do need to make a few additions and upgrades. The Coyote crate is a nearly complete engine, but it does require a few items like an alternator, power steering pump (if you plan to run a conventional hydraulic power steering system), air conditioning compressor (if you plan to run AC) and potentially a few other items. We’ll cover the full install in some upcoming Car Craft stories, but there’s so much involved that a pre-installation “prep” story is warranted here. That, however, is the magic of the internet—we can bring you all the extra cool stuff we just couldn’t fit it into the magazine, and that includes the front-runner accessory drive system from Vintage Air. This unit features all-billet brackets and an efficient layout that makes fitting the big Coyote into tight engine bays a lot easier.